You might have heard of a military spouses residency relief act, a rule rumored to help military spouses. But what is it and what does it mean and what does it do? Does it even exist? And how could it help you? Thanks to an attorney and tax expert, we have the answers. Little in military spouse life is more confusing than trying to figure out where, exactly, you're from. More than just a conversation starter, the answer can dictate a world of decisions, including where to register your car, where to vote in elections and, perhaps most importantly, where to file state taxes. That's where lawmakers come in. A federal law, the Military Spouses Residency Relief Act, is meant to make answering the residency and tax question easier. Instead it is famously often a cause of widespread confusion. A 2019 update to the rule aims to fix that problem. What are the military spouse residency relief rules and what does the new update mean? We linked up with tax attorney and military spouse Candice McPhillips, who runs her own virtual law firm, to help us figure it out. A quick warning before we dial down. If you have a residency or tax question, make sure you consult an attorney or accountant who can give legal or tax advice based on your individual situation. Before anything else, McPhillips said, military spouses need to understand the definitions of a few legal and military terms. A domicile, she said, is a legal term that can best be described as meaning, simply, "home." Under the concept on which the state tax system is based, each person can only have one domicile at a time, she said. Your domicile could be where you own property, have your car registered, have a driver's license, are registered to vote, or a variety of other official transactions that tie you to a specific place. A domicile is changed when you establish those official connections in a new location. A residency, on the other hand, is simply the place you live, or the address you are currently using. A military spouse may be domiciled in Virginia, for example, because that's where all her legal paperwork originates, but physically live in North Carolina. Residency changes based on where you are physically living, she said. And then there's the "home of record." A term used by the Department of Defense for service members, the home of record is the location where he or she lived when joining the military. It is used for determining some military entitlements, including final permanent change of station (PCS) allowances. A home of record is typically only allowed to be changed if there was an error on the original paperwork at the time of accession. What is the Military Spouses Residency Relief Act? The Military Spouses Residency Relief Act (MSRRA), as it was first passed in 2009, allowed military spouses to claim for tax purposes the same state of domicile as their service member, as long as they had established domicile there, too. That meant, for example, that a military spouse who earned income in North Carolina, but who had established domicile with her spouse in Virginia, would be subject to Virginia's income tax laws instead of North Carolina's. The law was meant to simplify family tax filing by giving spouses and their service members the ability to file state taxes with only one state. But it also sparked a lot of confusion, McPhillips said, in part because of questions around the differences between "domicile" and "residence," and in part because each state also has its own rules and forms for filing taxes. The rule also excluded a lot of couples. Not all military spouses have established domicile in the same place as their service member. That means that many families were still forced to file with multiple states despite the provision meant to assist them. Now we get to the new stuff. Thanks to an update to the law, military spouses can choose to file state tax returns in their service member's home state whether they have ever lived there or not. Beginning with the 2018 tax year, military spouses can file taxes in the same state as their service member -- claiming the same domicile -- without ever having set foot in the state, McPhillips said. Alternatively, they can also choose to file in the state in which they have established their own domicile, she said. Simple put: the new law, which also updated other service member protections, gives more options. That change, she said, could greatly simplify life for many military spouses who want to deal with just one set of state tax forms for their family. It could also result in spouses paying lower taxes if the state where their service member is domiciled has lower tax rates or laws that are friendly to service members living out of state. First, as has always been the case, the MSRRA does not permit military spouses or their service members to arbitrarily pick for tax purposes a convenient state in which they have never established a connection, McPhillips said. 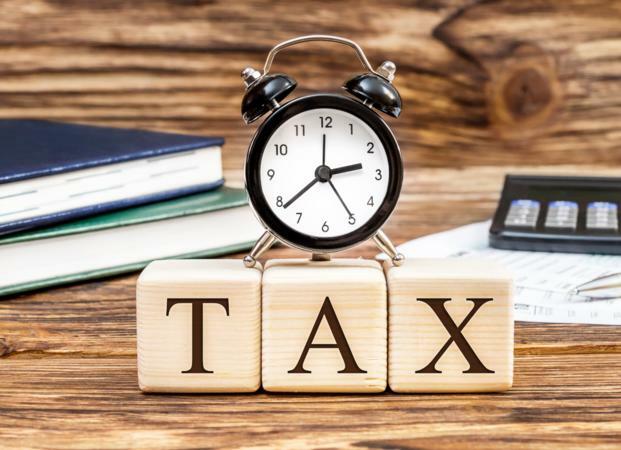 That means that, while it can be tempting to proclaim as your domicile a state without an income tax filing requirement, such as Florida, doing so without establishing real connections there could land you in hot water later. And those earning income while stationed overseas cannot use the protections of the MSRRA to avoid paying state taxes. The state of residency back home will be looking to collect taxes on that income, she said. McPhillips warned that it might take awhile for states, tax software and employers to up to speed on the MSSRA changes -- and things can be especially tricky for the 2018 tax year. Although spouses could potentially get back thousands of dollars if they paid taxes to one state in 2018, but now plan to claim domicile in another, thanks to the change, getting the state to send back their money could get really complicated. "In short, that scenario is not for the faint of heart," she said. A spouse would likely need to file a nonresident return in the state in which they paid taxes to claim a refund. They would also need to file a return in their newly claimed state -- and potentially make a payment. If the states have different deadlines, the spouse might need to pay taxes in one state while waiting on the return from the other, only to find that they have to pay income taxes later on the returned amount. And if the state or tax software a spouse is using hasn't updated its forms to reflect the new law, things could get even more tricky. And then there's the problem with employers and payroll departments, she said. Since most employment paperwork forms do not include the option to identify a domicile state in addition to the physical residence address, spouses need to work closely with their human resources departments to make sure they are meeting appropriate state requirements. For now, McPhillips said, the best course of action is to combine patience with your own expertise, and obtain copies of the new law. "You may literally have to explain to them, 'here's what it says, yes it is a real thing, here's the form,' " she said.